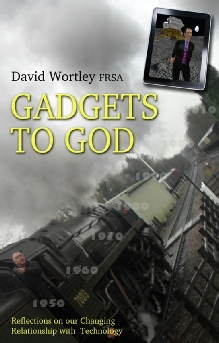 "Gadgets to God", written in first person, is an interesting retrospective on the incredible progress that humanity has achieved because of technology advances in the last 60 years. This book highlights the lights and shadows of the technology and its use and development. The book confronts us with technology face to face, through the challenges and opportunities that its use requires. It is simple and fun reading this book, because David is talking in first person through the his personal experiences. But it also leads us to reflect deeply about the benefits and the future of the technology. I highly recommend reading "Gadgets to God"!! I have no doubt this book will not leave you indifferent to the challenges and opportunities we all face!! David Wortley is a UK based technologist and futurologist. 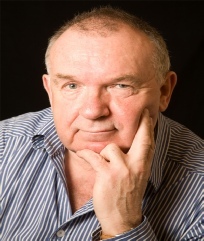 He is an internationally recognised expert on converging and emerging technologies with a unique set of highly personal experiences and perspectives. As a baby boomer born in 1949 in the small UK market town of Boston, Lincolnshire, David has witnessed and been a significant influence in the unprecedented developments in communications technologies that now present mankind with its greatest challenges and opportunities. David's work in shaping and influencing our understanding of these challenges and opportunities has been recognised nationally and internationally through many conference presentations and papers and his Fellowship of the Royal Society of Arts and Commerce (FRSA). To know more about the author see "David Wortley in FICOD 2011"
The message behind this autobiographical account of my own and mankind's relationship with machines and technology in the second half of the twentieth century and first decade of the twenty first is quite simple. My generation of baby boomers has lived through an unprecedented period in our history. My life began in an era when human beings used their intelligence and senses to get the best out of machines and technology and will end in an age in which machines and technology will be using all their intelligence and senses to get the best out of human beings. Where once we were masters we may now become slaves. The consequences of this shift in power are profound, unpredictable and potentially either disastrous or liberating for the future of mankind. The choices we are making today about how, where and when we use the technologies described in this book could well destroy civilisation and the beautiful planet we live on. The world I have spent my life in is a metaphorical "Garden of Eden" yet I fear that the new God we are all choosing to create in our own image and empower with all the knowledge of good and evil may well cast us out into an age of darkness and conflict. The stories of the Bible's Old Testament may not have been about the past but may well be predicting the future. My wish is that this book will hold something of value for everyone with an interest in what the future may hold. I hope that the "Digital Natives" who were born into the "Information Society" of the internet will learn what the world was like without computers, broadband, mobile phones, video games and social networking web sites and use this knowledge to harness these powerful tools for the good of mankind. For the "Digital Immigrants" of my own baby boomer generation who have taken instructions from a three year old grandchild on how to use a video recorder control, I hope that my memories will provoke nostalgic reminiscences of a bygone world yet act as a wake-up call to alert them to what we may all be cosily sleep-walking into.